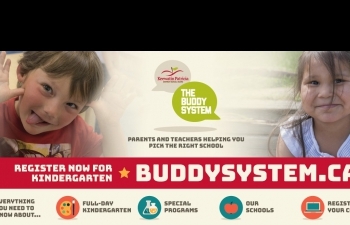 We have launched a brand new online resource for families with children starting Kindergarten in the fall (children born in 2013 can start Kindergarten in the fall of 2017). Trustees of the Keewatin-Patricia District School Board are pleased to announce the appointment of Tania Sterling to Superintendent of Education with responsibility for Secondary Schools and Student Success effective August, 2017; and the appointment of Joan Kantola, currently Superintendent of Education, to the new position of Superintendent of Human Resources and Special Education effective April 1, 2017. The appointments mark a further significant milestone in the Board’s restructuring of its administration and executive teams. Supported by the Efficacy work that has been underway for the past four years and taking place across the board and schools, these changes also secure strong succession planning for the future. Dr. Tania Sterling comes to the Keewatin-Patricia District School Board with over 22 years of instructional and educational leadership experience in Ontario. She has designed and facilitated face-to-face and online professional learning in K12, higher education, and corporate settings. In June 2013, Tania assumed the Vice President, Efficacy role at Pearson Canada to ensure its products and services had a measurable impact on learners. Her most rewarding system improvement work has involved collaborating with educators and leaders in K12 school districts in Northwestern Ontario and the Ministry of Education in Nunavut to support the unique needs of FNMI learners. In her free time, Tania enjoys cooking, yoga, and spending time outdoors. She and her husband Kevin keep busy schedules coordinating visits with their two sons Kurtis and Jack who are attending university, and cheering their daughter Julia on during her competitive dance season. Joan Kantola has been the Superintendent of Education with the KPDSB since 2013 when she assumed responsibility for the Board’s Special Education and Elementary Schools’ Programming. Recently Joan successfully completed the Rotman School of Business Strategic Executive Human Resources Management Program, with the University of Toronto. Joan and Tania will work alongside Caryl Hron Superintendent of Elementary Education, Early Learning and Instruction; Dean Carrie, Superintendent of Business; Kathleen O’Flaherty, Assistant Superintendent of Business; and Director of Education Sean Monteith. The Keewatin-Patricia District School Board (KPDSB) and the Kenora District Services Board (KDSB) are excited to announce we have received more than 3.6 million in funding to renovate and retrofit spaces in five KPDSB schools to create state of the art child care spaces. The renovations are possible thanks to funding from the Ontario Government and Ministry of Education. The renovations will be completed in three phases, with phase one having already begun in Dryden. The remaining two phases (Sioux Lookout and then Kenora) will be completed by the end of the 2019-2020 school year. Our organizations are pleased to continue working with our child care providers and elementary schools to provide seamless coordination of services for children and their families as they grow through our school communities. 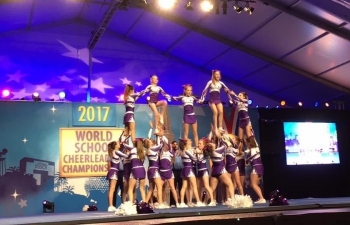 The staff, administration and Trustees of the KPDSB wish to acknowledge the incredible achievements of Beaver Brae Secondary School’s (BBSS) Bronco Cheerleaders at the High School World Cheerleading Championships at Disney World in Florida this month. The BBSS Cheer Team, made up of 19 student athletes in grades 7-12, travelled to Florida mid-February to compete in the Junior Varsity Division after winning their bid to the High School World Cheerleading Championships in February 2016 from the Manitoba Association of Cheerleading. In December 2016, the team was adjudicated in Winnipeg by a representative from the Universal Cheerleaders Association (UCA), and shortly after, the Broncos were invited by the International Cheer Union to enter a second event at the world championships called Game Day, making the BBSS Broncos the first international team to compete in the event. We are proud to announce the Beaver Brae Broncos Cheer Team won a bronze medal in the World Junior Varsity Non Tumbling finals. Their placing helped earn the Canadian teams a silver in the Nations Cup. The Broncos also placed seventh overall in the U.S. Nationals Game Day event in the Junior Varsity division earning the Bronco Cheerleaders a Silver Nations Ranking. Deb Allan, Head Coach for the Broncos Cheer Team, credits the team’s unprecedented achievement at the world stage to the hard work and dedication of each and every student on the team, the support of their families, teachers and coaches, and Beaver Brae’s Bronco Cheer Academy.